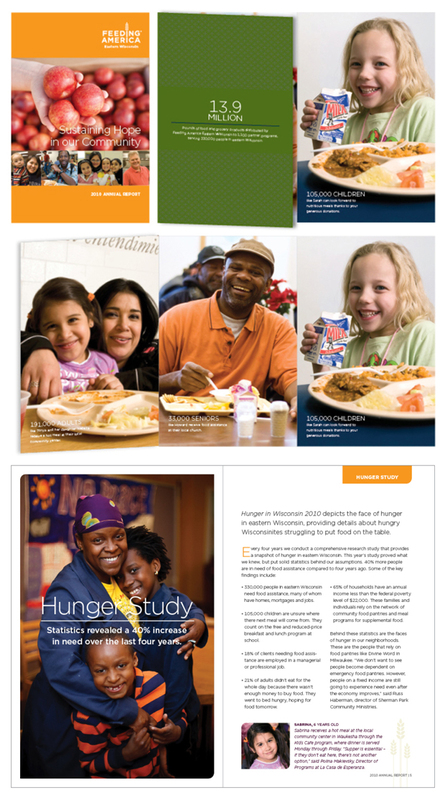 Since 2004 we’ve been helping Feeding America Eastern Wisconsin tell the story of their work to reduce hunger throughout much of our state. To celebrate their 30th year, we focused on how it all started with a bushel of apples back in 1982. Supporting photos were shot on location at Patterson’s Orchard, a long-time food donor to FAEW. It was a perfect way to spend a crisp autumn day (plus we got to stock up on cider and caramel corn). Community Advocates serves Milwaukee’s vulnerable residents with a fast-growing range of programs and services. What started in 1976 as a mission to help low-income residents meet their basic needs has today expanded to include behavioral health, domestic violence and over sixty different programs. As one of the few remaining agencies that welcomes walk-in clients five days a week, Community Advocates is doing all it can toward “Making it Better Now,” the theme of this annual report we created together in 2010. The Milwaukee Area Workforce Investment Board coordinates workforce development efforts in the Milwaukee area. With a vast range of funding sources and programs targeted at multiple audiences, their story can start to feel overwhelming. 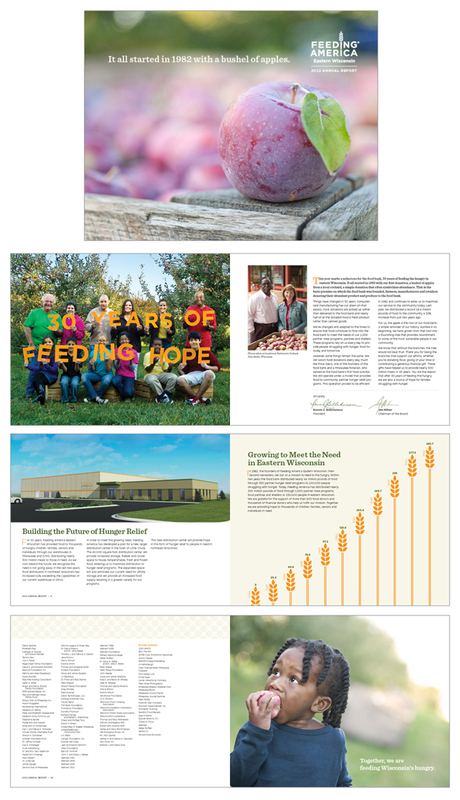 In this annual report we worked to simplify their story where possible and to connect the reader to the outcomes of MAWIB’s work through a series of success stories. Hunger affects a staggering number of our friends and neighbors in Wisconsin. In the 2010 annual report we helped to tell the story of FAEW’s growing impact on families, children, and individuals throughout Eastern Wisconsin.